Clothing/Jewelry Description A winter jacket, a black shirt, camouflage-print pants and boots. Distinguishing Characteristics Asian female. Black hair, brown eyes. Ai has pierced ears. She is from Japan and speaks English with a pronounced Japanese accent. Ai was last seen in Beaver, Alaska on May 20, 2017. She was on a boat on the Yukon River with her husband, Clifford "Tuffy" Adams, and Kim Andon when the vessel capsized six miles downriver from Beaver. Andon, the only occupant of the boat who was wearing a life jacket, was able to swim to shore, but she lost her shoes in the water and had to walk barefoot through the woods for three days before she was rescued and taken to the hospital. She stated she couldn't find the Adamses and that they were "unresponsive" the last time she saw them in the water. Clifford's body was located between Beaver and Stevens Village, Alaska almost a month after the accident. There was no sign of Ai in spite of an extensive search. Ai was born and raised in Tokyo, Japan. She became interested in Alaska after reading about it as a child, traveled to the Beaver area with a tour group, and married Clifford, a local resident. She ran a fur-trapping line and she and her husband hunted and fished together. 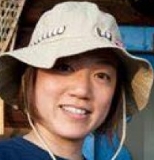 She also ran Japanese-language tours for tourists, and had a photography business. She is presumed drowned. Updated 2 times since October 12, 2004. Last updated June 8, 2018; date of birth added.